Christmas lights twinkle in the street, turkey-strewn sandwiches dominate coffee shop shelves, and yep, that’s a distant rendition of Last Christmas you can hear…Christmas is coming! But what do you buy as a Christmas gift for a redhead? They’re incredibly rare, awesome, and potentially a bit feisty, so it’s important to keep them happy. And if they’re particularly proud of their gingerness (which all redheads should be, of course), then giving them a present that relates to their red hair will land you top marks this Christmas. 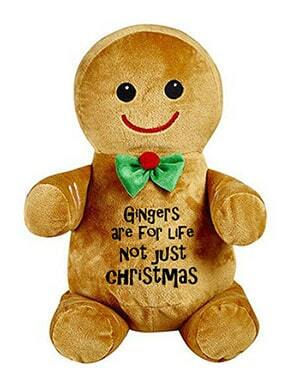 We’ve done the legwork for you and have put together a list of the perfect Christmas gifts for gingers. Most are silly – all are awesome. A reminder to always appreciate your favourite redhead, not just at Christmas! 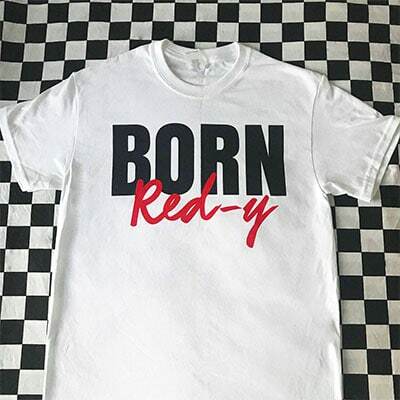 For natural redheads wanting to boast their genetic genius, this BORN Red-y tee will show the world how much they love their gingerness! 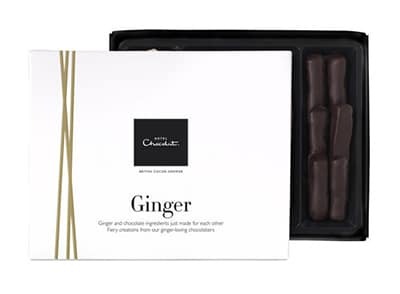 There’s something about ginger spice that screams Christmas, so why not treat your favourite redhead to this dedicated ‘Ginger’ tray of chocolates? It’s actually got their name on it. 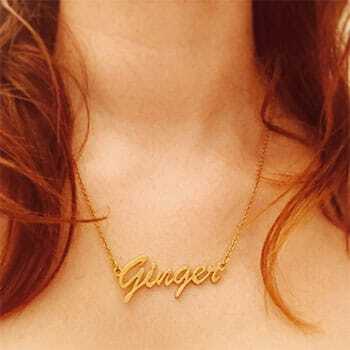 This ‘Ginger’ name necklace is perfect for redheads to show the world how much they love their red hair. Or, y’know, for when they’ve forgotten what colour their hair is. Whether you want to read or write about ginger hair, there’s heaps to keep your favourite redhead occupied while they’re snuggled up by the fire. 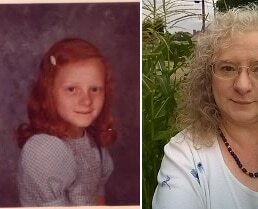 Learn all about the loooong history of red hair in A History of the Redhead or read about its many quirks with The Big Redhead Book or A Field Guide to Redheads. Then, detail every aspect of your ginger life with journal My Life as a Redhead. Take your pick, or buy them all! 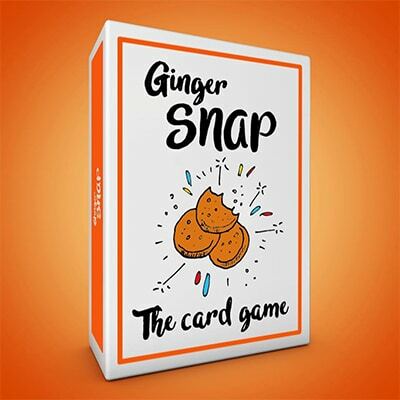 We’ve combined the much-loved card game of Snap with, yep, you guessed it – ginger. Gather the whole family together to play Ginger SNAP, which celebrates every shade of red hair by showcasing them all on the playing cards. From strawberry blonde to chestnut red, you’re in for hours of fun! 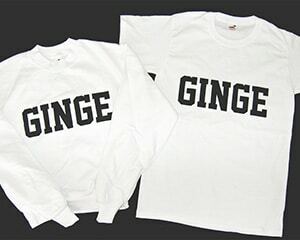 Help Gingerkind claim back the world ‘Ginge’, which is too often used as an insult towards redheads. We’ve had enough, so we’re embracing ‘Ginge’ as a celebration instead! 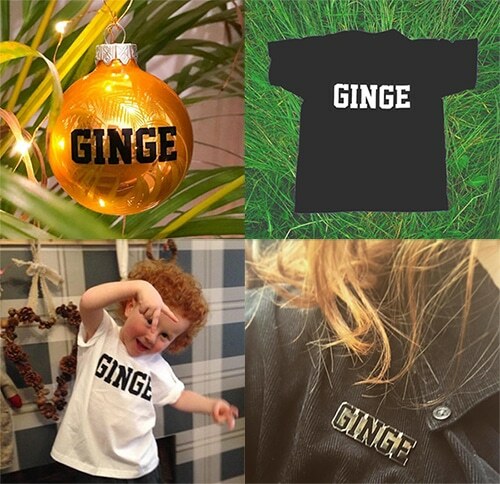 Our GINGE range has grown everso slightly out of control, but at least that means you can choose from plenty of items, including mugs, pins, clothing, and even Christmas baubles! Thanks to Thomas Knights’ continually popular Red Hot project, with its exhibitions, books, calendars and more, the world is becoming more and more aware that ginger hair rocks (and quite rightly, too). Allow the latest Red Hot calendar to help you select your new favourite redhead (because you can never have too many). 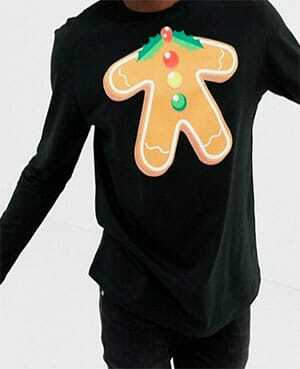 All that’s missing if your favourite red head to complete the gingerbread man! It’s not just hair that’s gingerful! 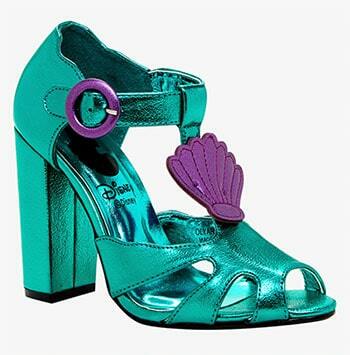 Take things one step further by wearing Disney’s Princess Ariel on your feet, too. 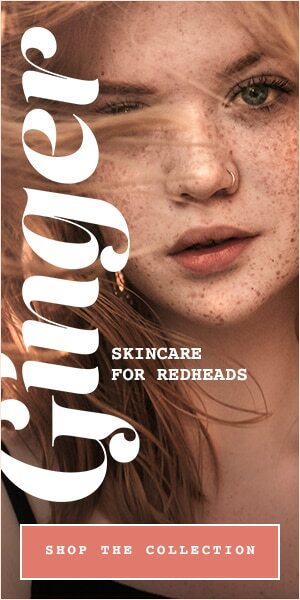 Priding itself as being the only magazine for redheads in the world, MC1R is a beautifully-curated collection of features and news from all over the world, including photography, art, events, interviews and more on its colourful pages. 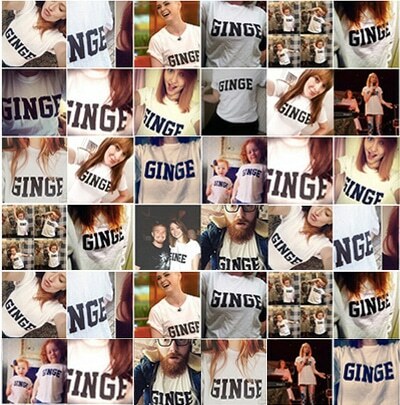 Whatever you buy your favourite redhead this Christmas, make it gingerful! 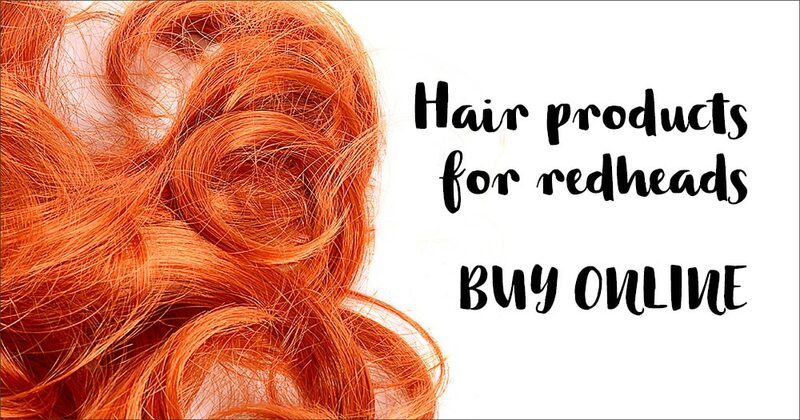 Want more Christmas gifts for redheads? Check out the Ginger Parrot Store.